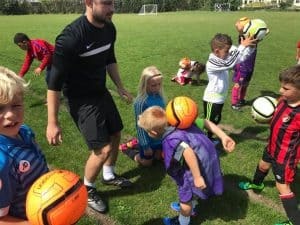 If you enjoy sport, working with children and you would like to grow your own business, a Danny Thomas Coaching Academy Franchise may be right for you. Franchising is a brilliant way to run your own business with the support of a successful company backing you. If you have a dream of owning a business and becoming the master of your own destiny and lifestyle, then investing in a franchise could well be the perfect fit. 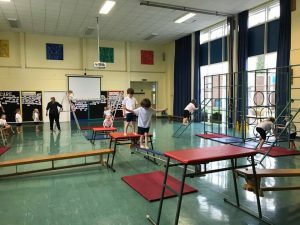 Our exclusive Teacher Support Mentoring Programme license enables a franchisee to work with teachers in schools, enabling the teacher and school to improve Physical Education provision. Helps individuals and specialist organisations who work with young people of all ages who are currently out of education, further education or employment/training. We provide relevant activities, support and mentoring but most importantly an overriding ethos to help a young person interact appropriately and believe in themselves. Delivers extra-curricular activities for schools. 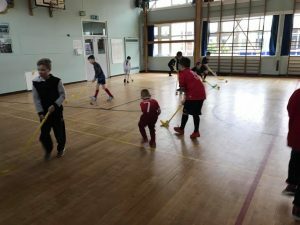 Our structured sessions give children the opportunity to venture into new sports in a controlled, fun and safe environment. 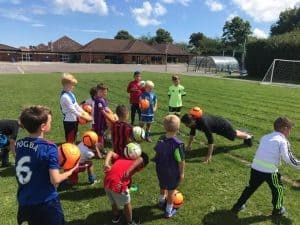 Provides cost-effective, fun and inclusive out of school activities, including holiday camps and specialist sports sessions for children of all ages. Children experience new skills, build self-esteem and confidence. Provides an opportunity to deliver our activities to the wider community with event attendance. Including charity support. All our physical education provision is based on stringent company governance. We are leading the way in our industry. We believe our robust and focused leadership is key to ensuring successful physical education outcomes for young people. All our staff and franchisees benefit from a clear framework within which to perform their roles, backed up by an experienced and highly motivated management team. A franchise with us will give you access to all the tools you will need to build a robust and thriving business in your chosen location. Delivering you profit, in the knowledge that with us you can ‘hit the ground running’ right from the start of your franchise. 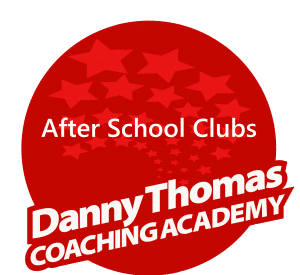 What makes a great Danny Thomas Coaching Academy Franchisee? We look for people with a passion for sport and fitness. Plus commitment, professionalism and above all a willingness to continually improve. You will work with our highly empowered and motivated management team, who have spent many years mentoring, training, launching and running new businesses. As part of your Franchise investment you will receive a full Training Programme, Equipment, Uniform, Business Tools including a Laptop fully loaded with all necessary documentation. Full access to our regularly updated Sport Provision Resource site. You'll be able to utilise tried and tested activities and lesson plans, from the outset. Your Franchise will be ready from day 1. We have spent years perfecting and continuously improving how we run our business. You will be able to start your franchise with everything you need right from the start. You will be part of something INSPIRING and UNIQUE - We pride ourselves on our robust company Governance and Safeguarding procedures. You will be backed by an experienced management team for the LIFE of your Franchise. Our Franchise investment fee is £15,000 plus a monthly management fee, entitling you to a full support package. You will be investing in a tried and tested model, that is profitable, with company governance that is second to none. Your Franchise investment includes a package of business tools worth over £2,000. All the business tools you need to start trading, including our detailed Operations Manual. With low overheads running your business from home, you can quickly turn your investment into real profit. Complete the enquiry form below to begin the journey. Submit an initial inquiry to us via the form below, so we can learn a bit about your interests, work history, qualifications and background. This is where we get to chat and get to know each other, answer your questions and find out about your goals and aspirations. If we both agree it’s worth further exploring, we’ll send out an initial package of information and ask that you complete our Personal Profile form. Once you have completed the Personal Profile form and returned it to us we will contact you again to discuss the results. If you're a good fit we'll issue you with our Franchise Prospectus and discuss areas of our Operations Manual, we'll also ask you to complete non-disclosure agreement, this is an agreement that you will not disclose our discussions or show the Prospectus to anyone. The Franchise Prospectus gives you a complete overview of the business and potential earnings. We'll also answer any questions you may have. If you're happy so far, we'll invite you to join us for a Discovery Day. You'll learn more details about our business and you'll be able to ask as many questions as you see fit, we'll also discuss aspects of our Operations Manual. There is NO payment or commitment required from you at this time. Once everyone agrees we are a good fit for each other, you will receive a Franchise Agreement. We advise you to have this agreement reviewed by a solicitor. We'll arrange a launch date and then start our initial 3 day training course that covers everything you need to start trading. Including delivery and business aspects. You'll also receive the Operations Manual and the Business Start-Up Package that is detailed within the Franchise Prospectus. Please fill out all sections of the form. The information requested is for an initial evaluation of your experience and qualifications. All details are kept strictly confidential and not disclosed to anyone. Completion of this form is not an offer to purchase a franchise and it does not obligate you in any way. We will contact you within one week of the form submission.